The film is a monumental picture, depicting the identity and fate of the Armenian nation. Artavazd Peleshyan is an outstanding Armenian film director and scriptwriter. Until 1963, Peleshyan lived in Vanadzor. In 1963-67, he studied at the Department of Directing of the Moscow All-Union Institute of Cinematography (VGIK). Even in his student years his films were distinguished with a delicate taste, unique artistic style and fresh means of expression of cinematic language. They were awarded numerous prizes and Peleshyan found popularity among cinematographers. In 1972, he shot the Stellar Minute with Lev Kulidjanov, and directed the documentary part of Sibiriada by Andrei Mikhalkov-Konchalovsky. In 1988, Peleshyan published his book My Cinema, where his theoretical works and scripts were included. The boundaries between documentaries and fictional films are removed by Peleshyan, both edited as a poetic entity. In 1969, Peleshyan finished his film We, which was awarded with an Honorary Diploma at Oberhausen IFF. As an actor he participated in We and Our Mountains (1969). In 1996, Artavazd Peleshyan was awarded the State Award of Republic of Armenia, St. Mesrop Mashtots and in 2006, he received Parajanov Thaler at Golden Apricot IFF, Yerevan. Mountain Vigil (1964, short), World of People (1966, short), The Beginning (1967, short. 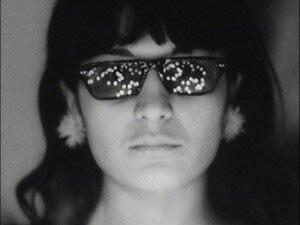 ), We (1969, short), Inhabitants (1970, short), Stellar Minute (1972, Co-dir. : Lev Kulijanov), Seasons (1975, short), Our Century (1983), Life (1993, short), End (1994, short).